The spark that Guglielmo Marconi flung across the Atlantic in 1901 heralded a new world order. From that moment forward, information transmission was forever divided between landlines and airwaves. The past verses the future. More than a century later the disruptive forces of technological innovation are still real—if Marconi could only see us now. The palm-sized computers we now hold in our hands have sparked an applications revolution that is every bit the information game-changer that Marconi ushered in with his wireless telegraph. Just as radio led to television, computers led to the internet. Now, mobile devices are leading to them both through applications—or apps. 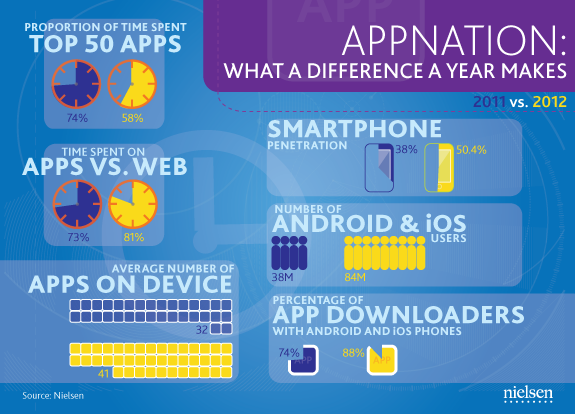 The growth and usage of smartphone apps is prolific and real. ComScore’s latest analysis of internet usages shows 37% of online minutes now come from mobile devices. (Figure 1) Furthermore, four out of every five mobile minutes are spent on an app. Recent mobile research by Nielsen shows the average smartphone user now has 41 apps on their device. (Figure 2) The dominant app by usage is Facebook followed by Google Maps. Brands that that don’t embrace this new information revolution, including information providers such as news organizations, severely risk becoming marginalized in changing marketplace. In Gupta’s model, he’s put the consumer first. 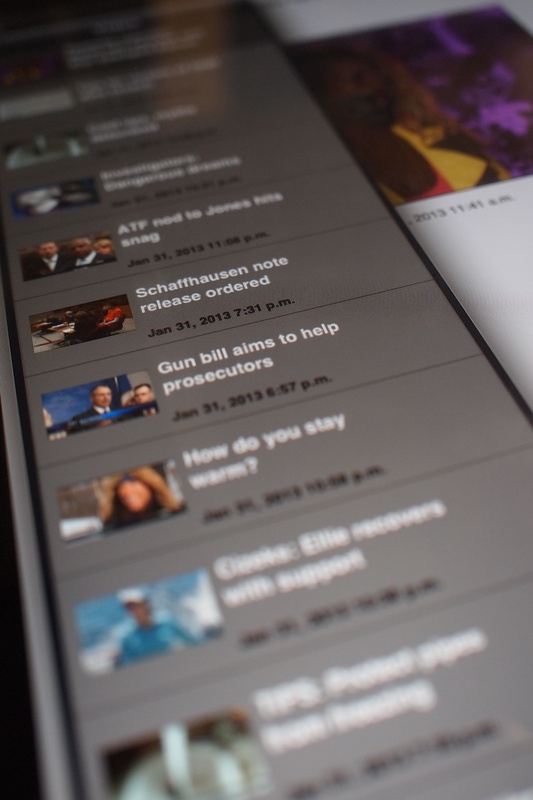 Far too many mobile news apps I’ve seen put the information consumer somewhere else. Tap the icon and what comes up are stories that are 24 hours old, limited video, and information cluttered with pop-up ads. Here’s what Gupta’s model might look like if we apply it in a customer-centric fashion. 1. Add Convenience. Here’s where most news apps fail with outdated information. News junkies come to you for quick and current information, therefore stories and headlines need to be constantly updated. Post short clips of video from the stories that are appearing, even if they are from a smartphone of a reporter in the field. 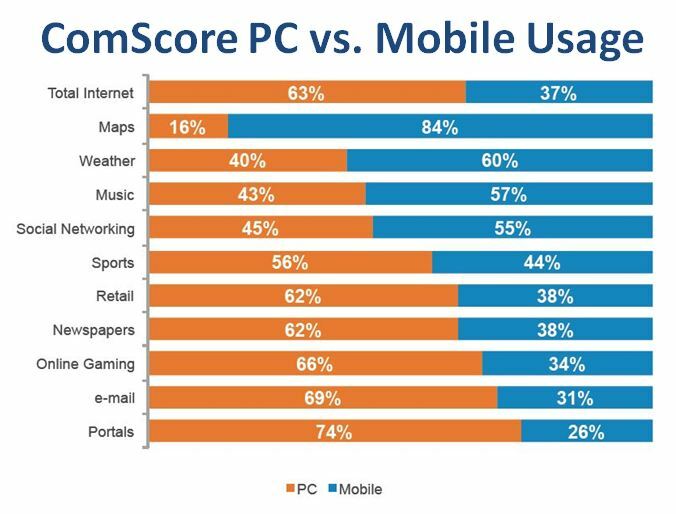 ComScore’s research indicates 60% of online searches for weather forecasts are all done on mobile devices, therefore those forecasts should also be constantly current. 2. Add Value. Speaking of weather, one way to add value to a weather or news app is to create an alert system for approaching severe weather. Another value-added strategy could partner with a local transportation agency to allow the app user to track commute times along a predetermined travel route. Also, headlines broken down by zip code. 3. Provide Social Value. Here’s where the app developers could build a feature to display the latest Tweets and Facebook postings from the organization. 4. Offer Incentives. The app could feature built-in coupons that tie in with a promotion or sponsor. On-screen coupons to use at live events such as food discounts at ball games would be used as a strategy to build both app users and extend on-air sales. 5. Entertain. This is where the app could offer clips of behind the scenes moments from entertainment programming such as American Idol or upcoming episodes of primetime news lead-ins. It’s a lot to think about in an era of shrinking staff resources and budgets. But just as Marconi once upon a time proved to be a disruptive force in information technologies, mobile devices are proving they are just as disruptive. The signals TV stations transmit from their towers are no longer the video and information dominant structures they once were. As digital platforms grow and evolve, information content organizations need to develop multi-platform strategies or risk becoming yesterday’s news.